It’s the most wonderful time of the year! 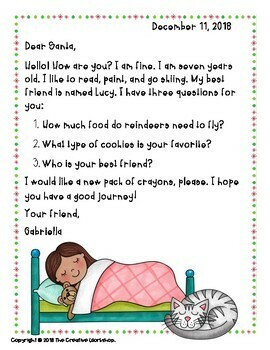 Children of all ages love to write letters to Santa and even address them to the North Pole! 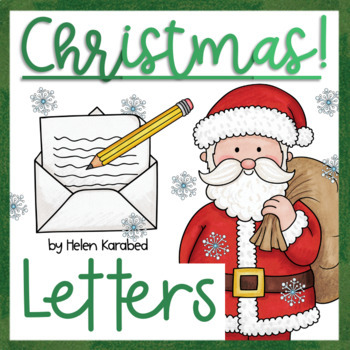 In this resource you will find Christmas letter templates, sample letters, and letters for students to correct. Your students can practice letter writing with a fun twist: instead of simply asking for a Christmas gift, they can get creative and throw in a few questions for Santa, too! 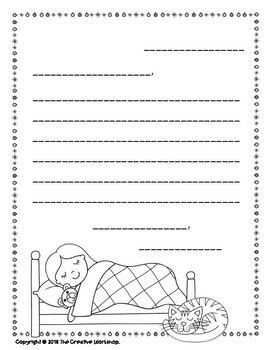 This is a simplified version of my Write to Santa: A Christmas Letter Mini-Unit, which includes 20 fun questions to ask Santa in your letter, 2 Graphic Organizers plus samples for letter writing, Write the Room, and more. You can also find the Spanish version in my store, Write to Santa: A Christmas Letter Mini-Unit in Spanish!